I am still one of those people playing Overwatch. It’s my safety net game, for those times when I don’t feel like playing anything else in my extensive video game collection and just want to play a bright, well-made and colourful nightmare situation. 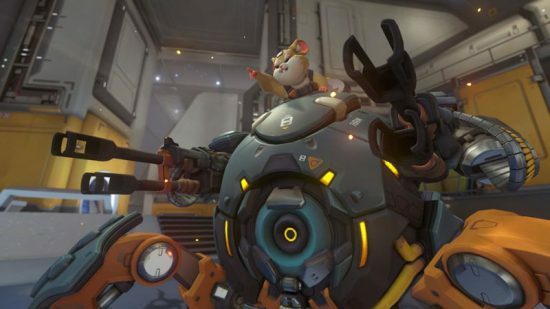 It’s been a few weeks now since Blizzard introduced the game’s latest hero; Wrecking Ball. A hero that had been teased for a long time under the name Hammond. A name that, much to Blizzard’s dismay, the fan base seem to prefer. Myself included. Now that he’s showing up in competitive games and I feel the need to give my half baked opinion on him.